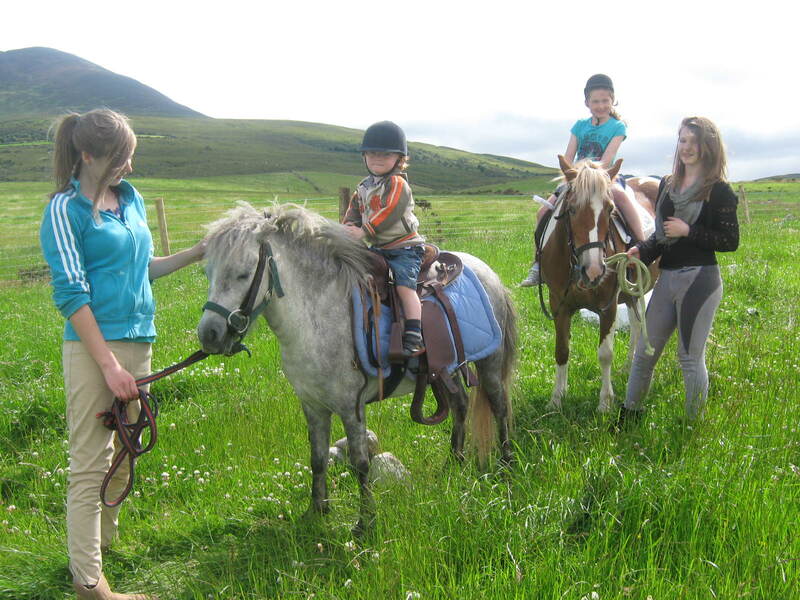 Dingle Peninsula vacation tours Ireland. Dingle Slea Head Tours saved our Dingle Peninsula vacation. We had scheduled a mid-morning archeological tour with another company the day earlier. Unhappily for us that company cancelled 15 minutes before they were to pick us up from our hotel, leaving a message at the front desk. They cited only four people had reserved, not the minimum five. We tried to call and offer to pay extra, but no one answered. Since we did not have a car; and our back-up plan (rent/ride bikes around the peninsula) would be a no-go (the day was very windy and rained on/off), we were left with the reality of not seeing the Dingle Peninsula…our reason of forgoing a vacation day travelling to get to the area! The young gentleman manning the desk of our hotel suggested Rory Brosnan and his Dingle Slea Head Tours. He called Mr. Brosnan. And, even though Rory had just arrived home the night before from a 6+ days guiding an extend tour around Ireland, he accepted our request. Since we were only a party of two, our total price may have been a bit higher; however we would have even paid more for this spectacularly, scenic experience. We really wanted to see the Dingle Peninsula—maybe our once in a life-time possibility?! Mr. Rory Brosnan runs his tour company very professionally. His vans, with big windows to take in the sweeping scenery, are spotless, well run, comfortable modes of transportation. Living in the Dingle region of Ireland, Rory and his family, and his wife’s family, are part of it’s actual history. He has countless stories and information…archaeological, Blasket Islands, flora/fauna, farming, cultural, and some behind the scenes antidotes of the people and production of the movie, “Far and Away,” and other media creations of the locality. Looking for an honest, “go the extra mile,” and enjoyable company to show you the beauties/splendor of The Dingle Peninsula? We recommend: Dingle Slea Head Tours 100%! Our message to Rory Brosnan and his Dingle Slea Head Tour Company: Thank you for providing us with a wonderful tour last month (October 2014)! We are so thankful you agreed to accept our last minute request, even with the crazy winds and on/off rain you came to our rescue after another local tour company cancelled at the last minute. You did not mind it was only the two of us. Without you and your company we would have made the trip to Dingle without seeing The Peninsula! Your insight and knowledge of the area was just what we were hoping to experience. And, you did not take advantage of our situation–your price was more than fair. We very much appreciated the big windows in your clean well-kept van, your kind, friendly and knowledgeable demeanor…even at the last minute; and you had just gotten back from a six-day tour around Ireland with another group! Thank you so much.